Parents are our identitity and whatever we are today are because of their unconditional sacrifices.Please bless all the sons and the daughters and make them worthy to serve their parents.Please bless them with enough love,time and wealth ,so that they can take care of their parents and give them their best ever. Babaji,please make all the parents feel proud of their children and shower them with their Blessings. What a wonderful prayer. my dearest awesome brother Raj! Thank you! SAI BABA YOU ARE OUR FATHER AND MOTHER. BLESS US THIS GURUWAAR TO ALWAYS SERVE YOU BABA WITH SHRADDHA AND SABURI. JISKE SIR UPAR TU SAI WOH DUKH KAISA PAAYE! On this new year eve when we are wishing all near and dear,give us the wisdom to always remember our parents,because of whom we are able to enjoy many things in life. On this day Babaji,please accept all our prayers which are said loud,meditated in thought and silent prayers amd bless all the parents in the world with great health and happiness for years to come and also bless all the sons and daughters to be worthy enough to serve their parents and make them feel very special. 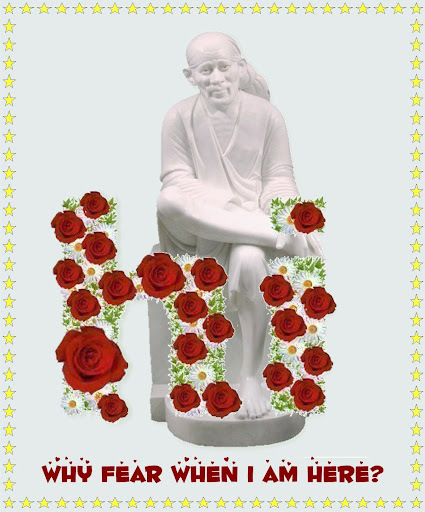 On this day Babaji,please convert even our smallest good thoughts into prayers and dedicate it to our parents. My Salute to all the Parents. Specially to Mothers....Maa Tujhe Mera Saalam. MAY BABA SAI BLESS ALL THE PARENTS AND ELDERLIES TO BLISSFUL HEALATHY LIFE. Happy New year to our dear brother Rajagopalji. My sincere wishes to all other devotees of our forum. 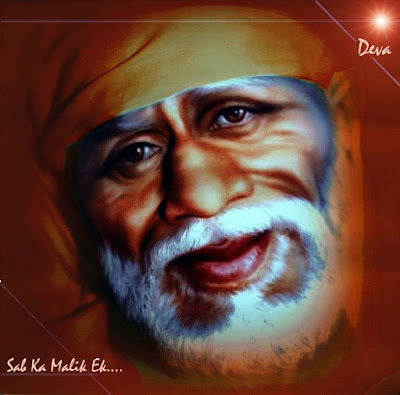 May Sai bless us all and bless our parents too. Om saha navavatu. saha nau bhunaktu. Om sarvetra sukhinah santu sarve santu niramayah. Oh Almighty! May he protect all of us! May he cause us to enjoy! May we acquire strength together. May our knowledge become brilliant! May we not hate each other! Oh Almighty! May there be a peace! Peace !! Peace !!! Everywhere. Oh Almighty! May everybody be happy! May all be free from ailments! May we see what is auspicious! May no one be subject to miseries! Oh Almighty! May there be a Peace! Peace! Peace! Everywhere. Bow to Sri Sai - Raksha Karo Deva !!! On this Guruwar,the day when you give bountiful please give us the wisdom to always remember our parents,because of whom we are able to enjoy many things in life. Parents are our identitity and whatever we are today are because of their unconditional sacrifices.Please bless us with enough love,time and wealth ,so that we can take care of our parents and give them their best ever. Please bless my uncle ,aunty. Thank you Raj Ji for this Prayer, May baba bless all the parent sin the world. Baba ji please give them all the happiness. Page created in 0.389 seconds with 69 queries.